There has been a slew of recent media reports, including reader comments to The GrowthOp, detailing disruptions in the supply of medical cannabis products. Although Health Canada insists current product levels are adequate to meet demand overall, there may be local shortages in the supply of certain products and strains. “As soon as recreational cannabis was legalized, we noticed right away that some of our patients were having trouble finding their medication,” reports Dr. Michael Verbora, chief medical officer for Aleafia Health Inc., Canada’s largest network of referral-only medical cannabis clinics. “Some specific strains of dried flower were no longer available and there were limited supplies of 1:1 THC:CBD, and high-CBD oils,” Dr. Verbora says. “There was a huge supply shortage in dried flower two years ago,” he reports. “This has been followed by bottlenecks in obtaining oils and, most recently, capsules,” Dr. Verbora adds. 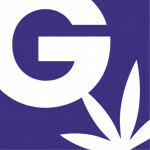 “Legalization appears to have caused more shortages as the demand has increased for particular product lines. It is going to take time for the market to react and correct itself,” he suggests. “Oils and capsules are more recent bottlenecks. The reason is Health Canada is slow to approve new licences to extract and new products. There are many products we need still but Health Canada has some odd rules,” Dr. Verbora said when asked about the bottlenecks. While there have always been challenges in the cannabis supply chain, “these have been compounded by recent regulatory changes—related to logistics, packaging and reporting—that producers have had to meet,” says Allan Rewak, executive director of the Cannabis Council of Canada, the national organization of Canada’s licensed cannabis producers. The Cannabis Act, which came into force Mar. 31, 2018, required excise stamping and changed the prescribed packaging standards. With the launch of recreational cannabis sales two months ago, “producers have pretty much overcome these challenges,” Rewak says. The 30-day limitation period for buying cannabis from a federally licensed seller has also been removed to ensure there is no break in a patient’s supply, says André Gagnon, media relations advisor for Health Canada. The widely welcomed flexibility is a result of changes in the Cannabis Act, introduced earlier this year. Health Canada reports that it is committed to ensuring the more than 300,000 patients who require cannabis for medical purposes and who are registered with licensed sellers have reasonable access to legal and quality-controlled products. “Licence-holders continue to expand their production, and [Health Canada] anticipates that the overall levels of supply will continue to grow month over month,” Gagnon says. “There will remain, in aggregate, more than enough supply of dried cannabis and cannabis oils to meet Canadian legal demand in the marketplace,” he says. Noting that Health Canada is working with both patient groups and industry on reports of local shortages, Gagnon says that between Oct. 17 and Nov. 20, 2018, the Cannabis Legalization and Regulation Branch Client Services Call Centre received five complaints from patients concerning difficulties accessing cannabis for medical purposes. This compares to the almost 11,000 calls received at the centre during that timeframe. While there may be temporary shortages locally for particular products, recent data from Health Canada shows that, nationally, there are sufficient inventories of dried flower and cannabis oil—in both finished and unfinished form—available to meet medical user demand. Information collected through the federal Cannabis Tracking and Licensing System—a program that monitors the flow of cannabis at a national level to meet regulatory requirements under the Cannabis Act—shows there were 14,658 kg of finished dried cannabis and 29,044 litres of cannabis oil packaged, labelled and ready for sale in the hands of federal licence-holders or provincial distributors/retailers as of Oct. 31. In addition, those licence-holders reported unfinished inventories of another 82,443 kg of dried cannabis and 11,539 litres of oil. Health Canada “expects licensed sellers to take reasonable steps to ensure that registered patients continue to have access to the products they need for medical purposes,” says Gagnon. “The challenge will continue to be for licensed processors to work with distributors and retailers to process, package existing inventory and ship final products to meet consumer demand,” he adds. “It’s starting to look less like a supply issue and, potentially, more of a distribution problem,” says James O’Hara, president and CEO of Canadians for Fair Access to Medical Marijuana (CFAMM). When CFAMM looked at the most recent Health Canada data, it found the ratio of sales of dried flower to finished inventory was about 7:1 and the sales of oil to inventory was 6:1. Nor has O’Hara seen any concrete evidence of price increases due to supply or distribution problems, but it’s something CFAMM will closely monitor. In the meantime, he is urging tax reforms to improve the affordability of medical cannabis. “It appears there are adequate supplies on hand, but a patient can only access their particular medication through the narrow ‘arrow slit’ of their licensed provider,” O’Hara points out. While he calls the new streamlined process for switching to another LP “good news,” if a patient’s designated supplier runs out, it doesn’t solve all the distribution problems. First, a patient has to know transferring suppliers is even possible, he explains. Then that person needs to find an LP that can provide an equivalent product. And finally, the patient must contact his or her current LP and request their paperwork be forwarded. While some patients respond well to common strains, others have more complicated medical needs, Dr. Verbora explains. “For reasons we don’t yet understand, they respond to the whole plant benefits of a particular strain, and they may have to try seven or eight of the hundreds available to find the right one,” he says. “Even a temporary disruption in supply can have dire medical consequences,” Dr. Verbora contends. “A child with epilepsy needs their CBD oil to control their seizures. Or a patient who is using cannabis to replace opioids—and, again, it might have taken months to find the strain that worked—may revert back to those pills,” he cautions. In addition, it can be dangerous to rely on recreational supplies or, even worse, black market cannabis. “There are a number of serious problems with self-medicating,” says Dr. Verbora. 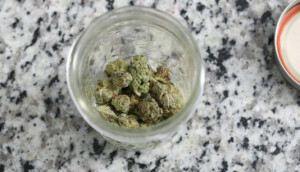 Patients often overmedicate or consume products with too high a THC content, and cannabis can also interact with other medications, he explains. “You need to fully understand the risk and benefits of a medical cannabis product, especially before using it to replace any other prescribed meds,” he adds. Over the long term, Rewak suggests that augmenting the current mail order supply system for medical cannabis—which is “working beautifully,” he insists—with a pharmacy-based distribution mechanism. “Mail order is certainly preferable for patients with mobility issues or located in rural communities, while distribution through pharmacies has worked in other jurisdictions,” he says. Patients could also talk with their pharmacist about possible interactions of medical cannabis with the other medications they are taking.